SEOs: Do You Offer Exclusivity To Your Clients? Home > SEO Copywriting > SEO Poll: Would You Work With Competitive Clients? A Sphinn discussion asks, would you accept new work if that new work is competitive to your existing client's niche? 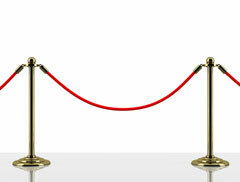 In short, do you offer official or non-official exclusivity to your clients? Just imagine the situation you could get into with one doing 10 times better than another. Or one gets dinged by Panda and the other doesn’t. Too much hassle for me explaining that. No no no no not ever nohow no way. And believe me, I've been asked. In fact, none of my partners are allowed to take on a client that directly competes with one of my existing clients. That's the way we've operated since 1996, and that's the way we will continue to operate (as long as I'm calling the shots here). But I know many companies that do, especially the larger ones. Their rational is that they have different teams working on different projects, so they won't put the same team on two competitive projects, they would just give it to a new team. In addition, some argue, working on two clients in the same niche would benefit both clients because they learn twice as much. Would You Work With Competitive SEO Clients?